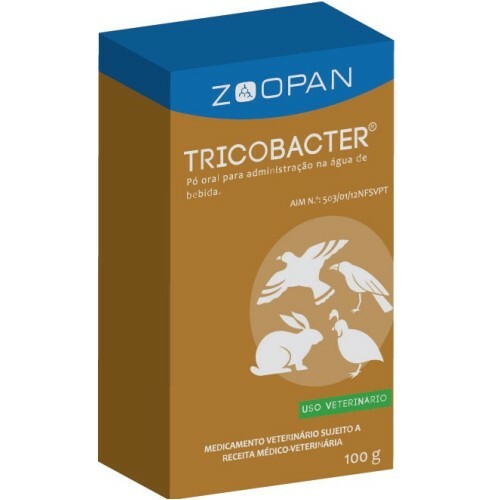 Tricobacter 100gr by Zoopan, treatment and prevention 2 in 1, trichomoniasis and coccidiosis in racing pigeons and cage birds. - Prevention: 1 to 1.5 gr. per liter of drinking water for 5 days. - Treatment: 2.5 to 5 gr. per liter of drinking water for 5-7 days.